MSC Cruises is introducing new Red Sea itineraries for 2012-13 on the MSC Armonia. On Nov. 2, the ship will depart Venice on an eight-night cruise to its new homeport of Sharm El Sheikh, Egypt, with stops in Ancona, Italy; Heraklion, Greece; and Marmaris, Turkey as well as a transit of the Suez Canal. MSC Armonia will then begin a series of weekly seven-night roundtrips from Nov. 10 through April 6, 2013, stopping at Safaga, Egypt; Elat, Israel; Aqaba, Jordan; and Sokhna Port, Egypt. On April 6, 2013, MSC Armonia will depart on a nine-night return to Venice, with stops in Sokhna Port; Limassol, Cyprus; Antalya, Turkey; Rhodes and Heraklion, Greece; and Kotor, Montenegro. 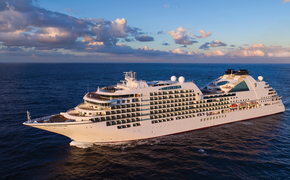 MSC Armonia has 777 staterooms, four restaurants, a spa, a mini-golf course, a casino, a children’s club and more.